Federal prisons are potential breeding grounds for Islamist radicalization and the government and correctional system is doing little to confront the public safety risk, experts warn. 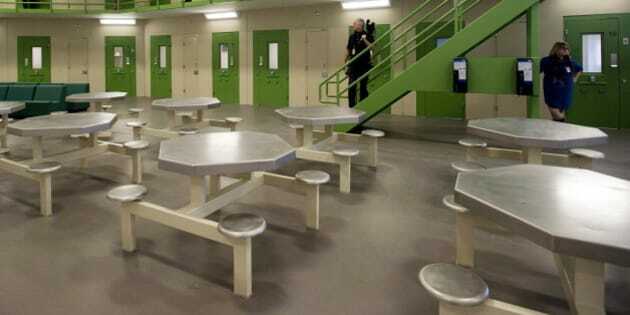 Dr. Wagdy Loza, a psychiatry professor at Queen&apos;s University in Kingston, Ont., who has expertise in radicalized inmates, says the general profile of offenders coupled with a confined environment make prisons a potential hotbed for conversion to extremist views. Hard data is scarce on the scope of convicted terrorists and recruitment to jihadism behind bars in Canada, but Loza said there is no denying the potential problem — and potential security risks. "Look at what happened in [the attacks in] Paris, that is all that I have to say. It is very clear: you have people there, you don&apos;t treat them — what do you expect?" he said in an interview with CBC News. "The problem is, if you have 10 or 15 [radicals] and put them among hundreds and then don&apos;t treat them … one of them may cause you so much heartache. That&apos;s terrorism." The issue hit the global radar after revelations that two gunmen involved in recent attacks in France are believed to have been radicalized in prison. Cherif Kouachi, one of the brothers who massacred 12 people at the Charlie Hebdo satirical newspaper, came under the influence of Djamel Beghal, a known figure of French radical Islam, while incarcerated at the Fleury-Merogis prison. Amedy Coulibaly, who killed a policewoman and four hostages before being shot and killed by police, had also come under Beghal&apos;s influence and met Kouachi in the same jail. Loza has just completed a research paper calling on governments to establish effective intervention programs to prevent Islamic extremism and terrorist recruitment in Canada and other Western countries. He outlines the "disturbing" trend of Canadians joining jihadist groups and travelling abroad to fight in the name of Islam. Prevention and intervention programs are sprouting up at mosques and with police and community outreach. But little is being done to prevent the spread behind bars — where the population may be particularly vulnerable to radicalization, Loza said. Prisoners are in close proximity to others looking for "camaraderie" or common ground. They are often rebellious and reject authority, society and the system. If they are not well-versed in religion, they can also be open to converting to extreme interpretations of Islam, he said. So what can be done to prevent the spread of extremism and treat terrorists behind bars? Loza said religious counsel is important to correct the misinterpretations of the Qur&apos;an, but programs must aggressively attack the ideology of superiority of faith, of hatred of the "corrupt" West, of victimization and the glorification of Islam and jihad. Loza wants Correctional Service Canada (CSC) to hire experts who not only understand the values, religion, language and culture, but also the mentality of the Middle East that drives the extreme ideology. Specific programs for radicalized offenders should be mandatory and tied to parole eligibility, he adds. Public Safety Minister Steven Blaney said Canada is sharing best practices and learning from countries like France that are dealing with a much bigger problem of radicalization. "We have to be careful and also make sure there are no bad influences coming from outside into our penitentiaries who could corrupt the minds of vulnerable individuals," he told CBC News Network&apos;s Power & Politics host Evan Solomon. Imam Yasin Dwyer worked as a chaplain in federal prisons for 11 years, but left his formal role after CSC moved to a privatized model for chaplaincy services. Dwyer says the change severed critical ties to community,and had proven successful in building trust relationships with inmates. "If the community is not speaking with authority about what religion is, in our case about what Islam is — especially in a correctional context — if the community doesn&apos;t have that authority, then perhaps that authority may fall to voices that have not been granted that authority by the faith community," he warned. While most Muslims behind bars use faith to find meaning and guide them through incarceration, some are dealing with issues that make them vulnerable to radicalization. Dwyer, who provided pastoral services to six of the Toronto 18 terror cell members, says he had success despite a lack of government support. "It&apos;s not even a matter of doing enough — it&apos;s are we doing anything at all?" he says. "As the Muslim chaplain, I was looked upon to deal with these particular offenders, minus the resources to do it effectively." Dwyer says he does not want to contribute to fear-mongering, but wants to raise a red flag. "Prisoners are in a very adversarial environment. It is a potentially violent environment where people are quite jaded and there is a real absence of consistent light. So in that situation, in that state of anger and isolation, you may have the potential of those falling into some sort of alternative dysfunctional narrative of what Islam is. That&apos;s the flag that I would put out." Last month, CSC hosted an international roundtable and symposium on managing radical offenders that brought in experts from the U.S., the U.K., New Zealand, Israel, France, Spain and the Netherlands. Spokeswoman Veronique Rioux said CSC is reviewing effective practices for dealing with radicalized offenders used nationally and internationally and has policies in place to deal with this population. "CSC addresses the challenges linked to radicalization through existing case-management practices, which are individualized for each offender as part of his or her correctional plan," including psychological services, chaplaincy services and interventions, and education and employment programs.